Ssunga Health Centre is a registered health centre, serving a population of 5,200 people with a variety of medical needs. Run by Sister Nalubega Mangdalene, the centre is always full of energy with patients singing praises of the sister’s dedication to their work. Uganda is a very rural country with the vast majority of the population working as farmers. This makes public health a very tough model to implement, with communities stretched out across an extremely bad road network. Currently, due to mothers not being able to seek prompt quality health care services, 6.3% of all infants born in Uganda die before their first birthday. Ssunga Health Centre is located in a rural community and is fighting to save these children and their families from such heartbreak. For 1,400 pregnant mothers aged between 19 and 45 years of age to gain access to accurate antenatal care during pregnancy and birth. We intend to reach our goals for this project with a very simple but extremely important solution. 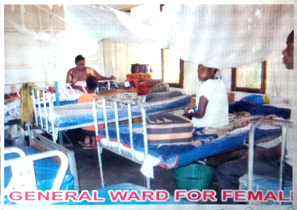 Ssunga Health Centre need an ultra-sound scanning machine. At the moment, the centre doesn’t have an ultra-sound machine so a lot of complications are missed during pregnancy. As health is not a free service in Uganda, a small fee of £2 will enable the centre to buy vital gels and specialised printing paper to maintain the machine. This is half what other services charge 15km away. We also are planning to use your donations to fund two staff members to go on specialised ultra-sound scan training throughout the year to ensure best practice is implemented. This project has a massive lifesaving positive impact that will support thousands of people a year! Even without the ultra-sound machine, Ssunga Health Centre has been achieving fantastic results in their midwifery department. One case occurred where a mother came into the clinic at the last stages of her pregnancy. She underwent a physical examination and the Ssunga medical team identified that the baby was being strangled by their umbilical cord. The team at Ssunga reacted fast and the mother was rushed 15km to Masaka Referral Hospital where they were able to help the baby free. 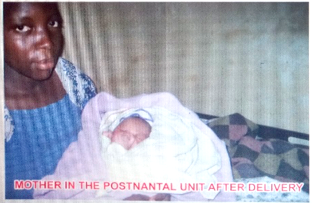 The mother and baby are now doing amazingly well thanks to the skill and quick reactions of the Health Centre. With an ultra-sound machine, Ssunga Health Centre will be able to detect these kinds of problems earlier and with a higher degree of accuracy. We will see so many more of these success stories once the centre gets the correct diagnosing equipment.